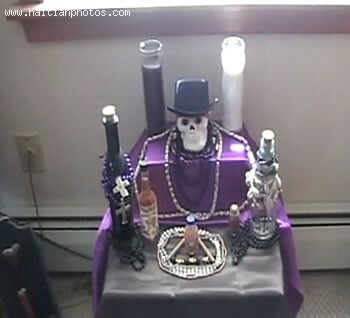 Here is a picture of the Altar of Baron Samedi in Haitian Voodoo. Baron Samedi is associated with the dead. It is told that Baron samedi help to carry the dead to the underworld.